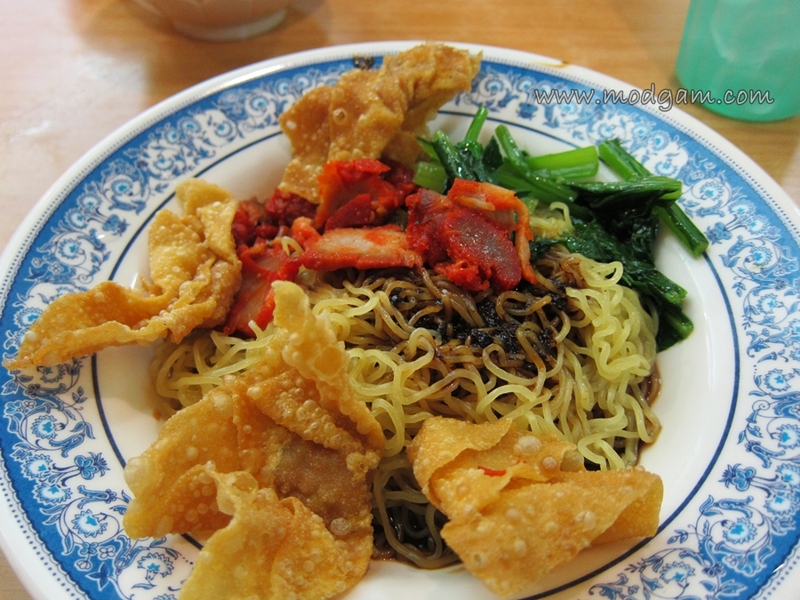 Wonton noodles or wonton mee is a popular noodle dish in Hong Kong, Singapore, Thailand and Malaysia. 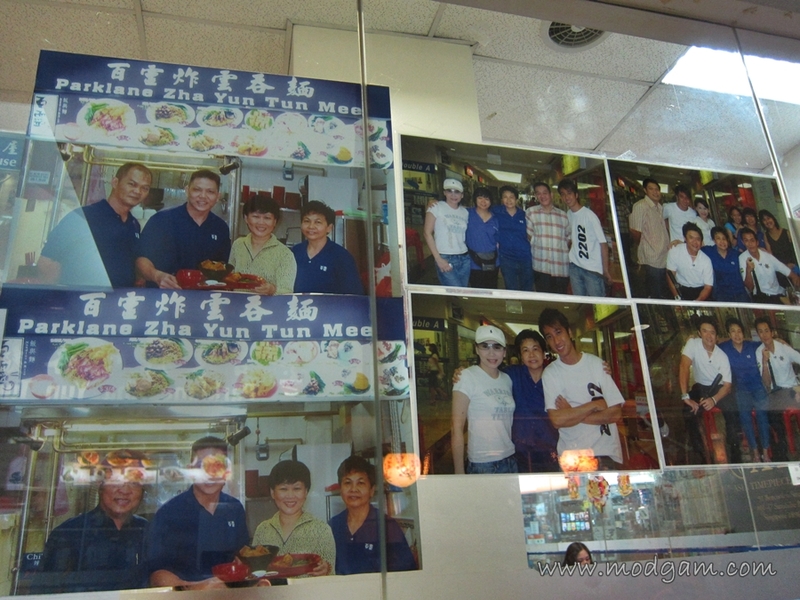 The dish is usually served in a hot broth, garnished with leafy vegetables and wonton dumplings. The wonton dumplings contains prawns, chicken or pork with spring onions and mushroom. 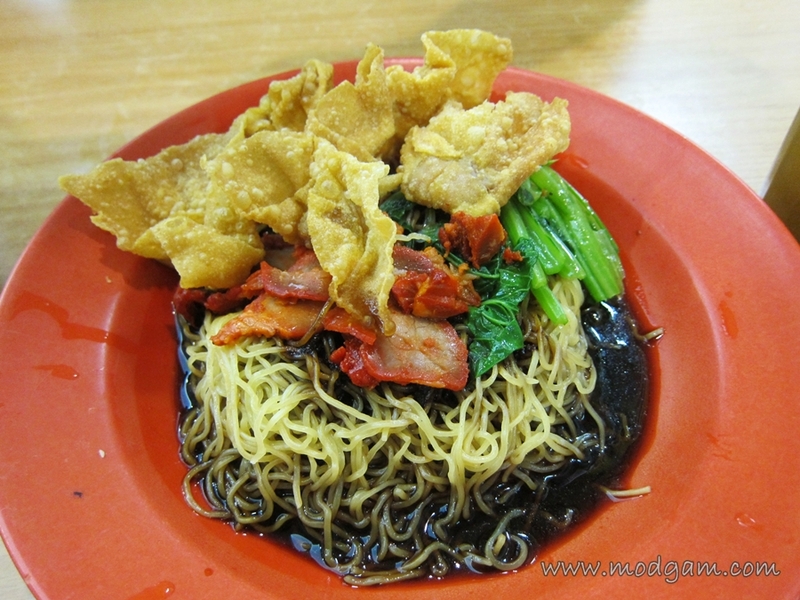 Fried wonton Noodle S$4.00 and S$5.00 – traditional, original taste. YUMMY! 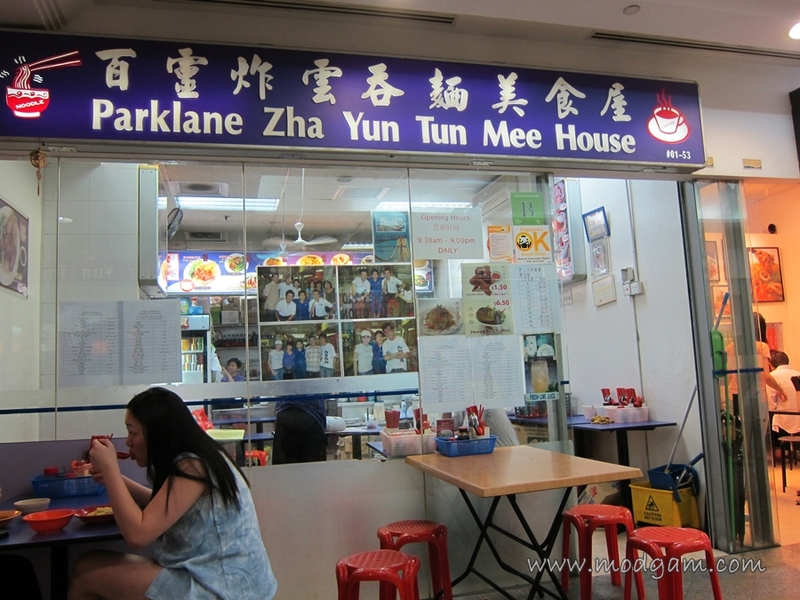 Love the black sauce and generous char siew (pork meat). 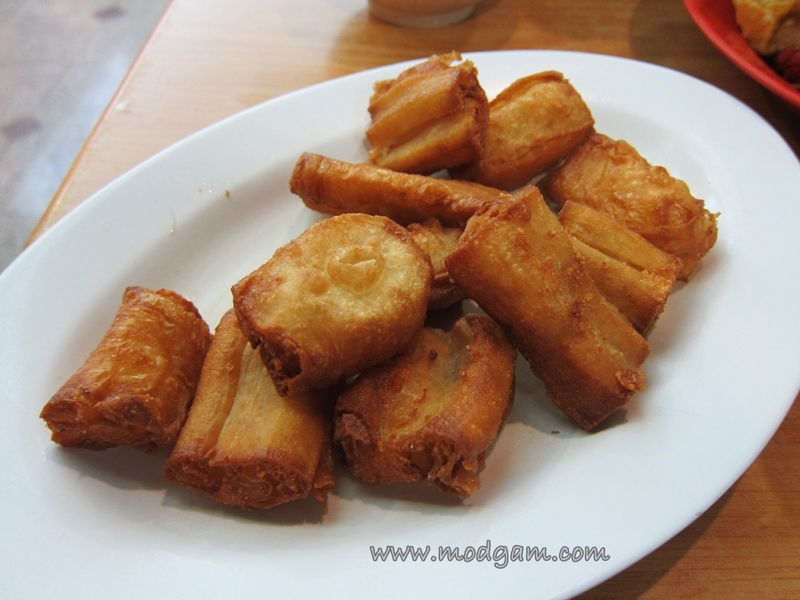 You Tiao (chinese donut) S$5.00 – my all time favorite must order dish! Fried and stuffed with cuttlefish paste with mayo dip! Yums!